You asked for it and now it’s here! I have just posted my next workshop at Creative Workshops. I have combined two of the most asked about techniques into one workshop. Numerous people have commented on the Pitt Pen pages and inquired about the Caran d’ache crayons with fluid matte medium, so I have combined these techniques into a journal workshop. Come and explore the possiblities with me starting March 23rd. Registration is now open. A 3 week journey into the timeless art of Moleskine Journaling. 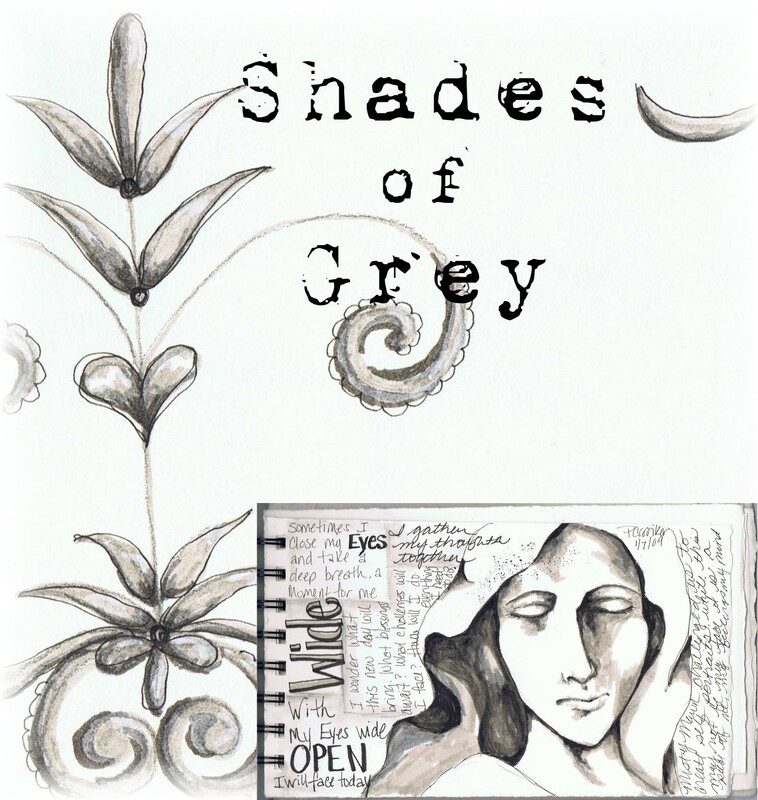 We will use ‘Shades of Grey’ Pitt Pens, Caran d’ache watersoluble crayon, and black & white images to create pages worthy of a Moleskine’s handcrafted covers. This class will consist of 3 video demonstrations, and a collage sheet download. Week 1~ It’s the Pitts! Week 3~ Grey’s or Gray’s Anatomy? I’m signed up and can’t wait…thank you for offering this! I can barely contain my excitement! I’ll be signing up tomorrow :)I’m “Meek” over there. hi Pam, I’m glad this is being offered late March, as I’m already behind :-DI just ordered a set of the pens, and can’t wait to do this class with you!